Each will be released digitally and at retail. A selection of the titles will be playable at the Skybound Games booth at PAX East in Boston which will be running from March 28-31, 2019. After Square Enix announced that Final Fantasy VII, X, and others would be coming to Xbox One consoles in 2019, Beamdog and Skybound Games announced yesterday that Baldur's Gate and five other classic PC RPGs would be released on Xbox One, PlayStation 4 and Nintendo Switch this year (via Polygon). Skybound is currently the owners of the now defunct Telltale Games The Walking Dead, which they acquired in October of 2018, and has helped with the publishing of a number of independent games, including Slime Rancher by Monomi Park, The Long Dark by Hinterland, and Death's Gambit with White Rabbit and Adult Swim Games. 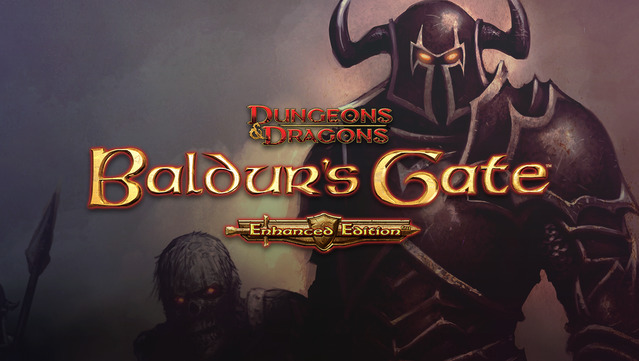 All of the games are set in the Forgotten Realms of the Dungeons and Dragons universe, and the Enhanced Editions will include all of the expansion packs. While console gamers were typically enjoying the latest grand adventures from Japan, those with personal computers were diving deep into the traditional western Dungeons & Dragons fantasy worlds of Baldur's Gate, Neverwinter Nights, and more. Icewind Dale and Planescape: Torment, two games that originally used BioWare's Infinity Engine, will arrive on a new platform this year, as well. Domino's is also running a contest on social media for National Pizza Day 2019, and the victor will get free pizza for a year. Pilot Flying J : Get a free slice of pizza through February 10th with the Pilot Flying J app . Skybound said additional details including box contents and specific platform support will be unveiled in the coming months. Most were unavailable due to Interplay's decline, advancements in PC hardware, as well as the lack of digital distribution for them until GOG secured them in 2008.